Day one of a three day mini-chasecation as a upper trough was expected to eject into the Plains potentially providing three days of severe weather. The 23rd presented two target areas: Western Texas and Western Oklahoma was characterized by moderate deep layer shear and modest instability while a second target area in Eastern Colorado where a decent area of instability was expected to develop northeast of the surface low, backing low level winds and advecting 50°F dewpoints into the area. I was more intrigued by the Colorado target because backed upslope flow combined with the cooler temperatures aloft provide a good environment for strong updrafts and decent low level shear. My plan was to drive overnight to Kearney because if chasing has taught me anything, it’s that wherever you think you’ll need to drive in the morning, you’ll always need to go further west. I took off from Kearney shortly after 13z and bolted west on I-80. 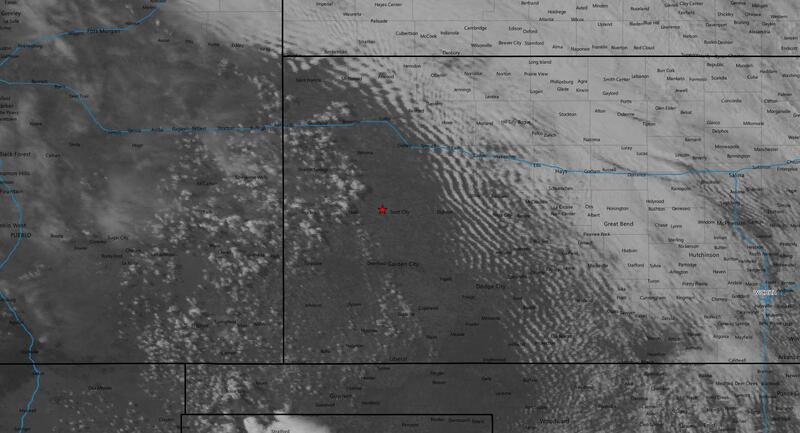 A pretty huge cloud shield and MCS was raging south of Nebraska stretching into the Texas Panhandle. I figured any play down there would be south of I-40 later in the evening, so I was glad I decided on Colorado the day before. 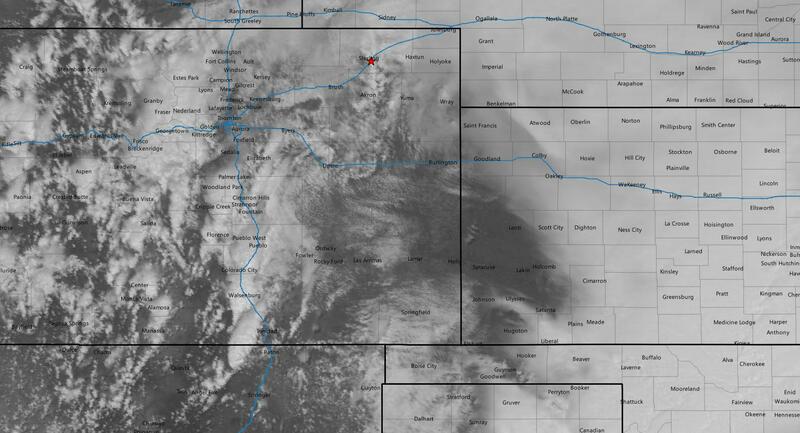 I continued on I-80 to I-76 into Colorado as visible satellite started to show clearing in my target area with dewpoints into the mid 50s as predicted as well as some initiation in southern Colorado just west of I-25 south of Pueblo. I took state route 71 south out of Brush and headed to Limon to meet up with Brad and Jon. Upon my arrival, SPC issued a mesoscale discussion for our area with a 40% chance of a watch issuance indicating that the backed winds could contribute enough low level shear for a brief tornado, but their main concern was hail and wind. We sat in a parking lot on the west side of Limon watching the convection to the south. 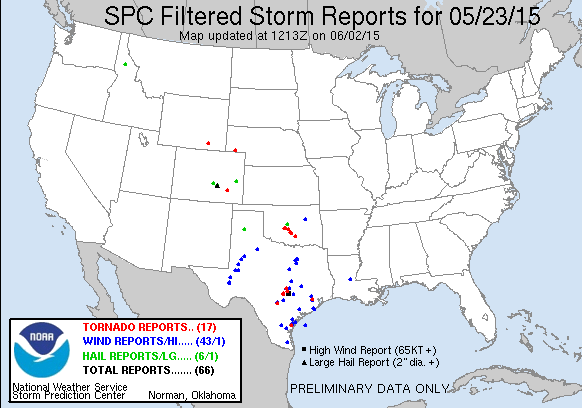 The southernmost cell went severe warned just before 19z and the tornado watch was issued soon after. We took off from Limon. The southernmost cell picked up a tornado warning briefly but it was cancelled 16 minutes later as the cell weakened. We drove through the forward flank and emerged in the clear behind the storm right around 21z and followed it east out of La Junta where we stopped to take a look around Las Animas. Storms congealed into a line shortly after this shot and weren’t even severe warned at that point. As dusk settled in, we called the chase and drove to Garden City for dinner and then to Woodward, OK for the night to get in position for day two which would either be east into the Ozarks or the secondary target in Colorado!